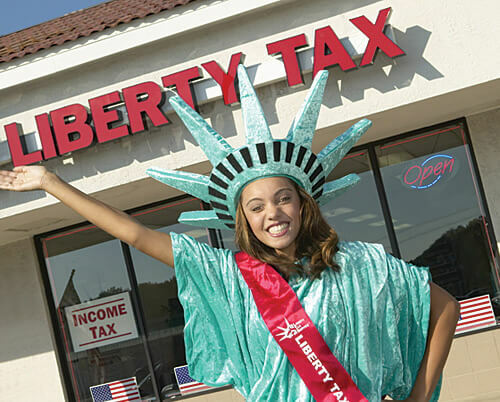 Founded in 1997, Liberty Tax, the brand with the iconic Statue of Liberty Wavers, has grown into one of the most recognized tax preparation services in America and a leader in one of the nation's most profitable and reliable industries for small business owners. Taxes are a part of our lives, and they're here to stay. Nearly 135 million individuals file taxes in the U.S. each year and more than half of them use a professional tax preparer. Tax preparation is a $10 billion market, and the number of U.S. taxpayers is expected to increase. Liberty Tax franchise owners receive all the comprehensive training and support needed to be successful in this seasonal business - even if they have no previous experience. They also receive site selection assistance and cutting-edge demographic tools to target customers. For 20 years, Liberty Tax has been chosen by many as their path to financial freedom through our business model, marketing tools, and unmatched brand recognition. Come explore our opportunity and see how, together, with your passion, your vision, and our system, "it all adds up"!